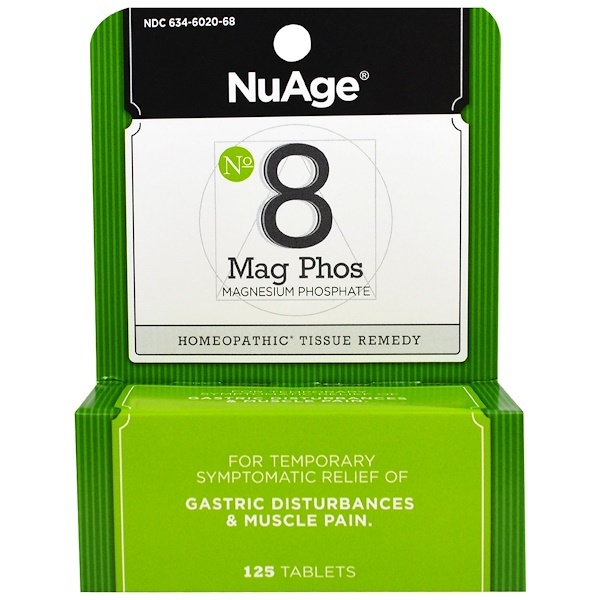 For the Temporary Symptomatic Relief of the Symptoms of Gastric Disturbances, Muscle Pain. Gastric Disturbances: Includes a wide range of ailments characterized by painful or uncomfortable symptoms associated with the function of digestion. Mag Phos is indicated with a feeling of gas with flatulence and belching or intense pains and cramps of the stomach that are relieved with hot drinks. 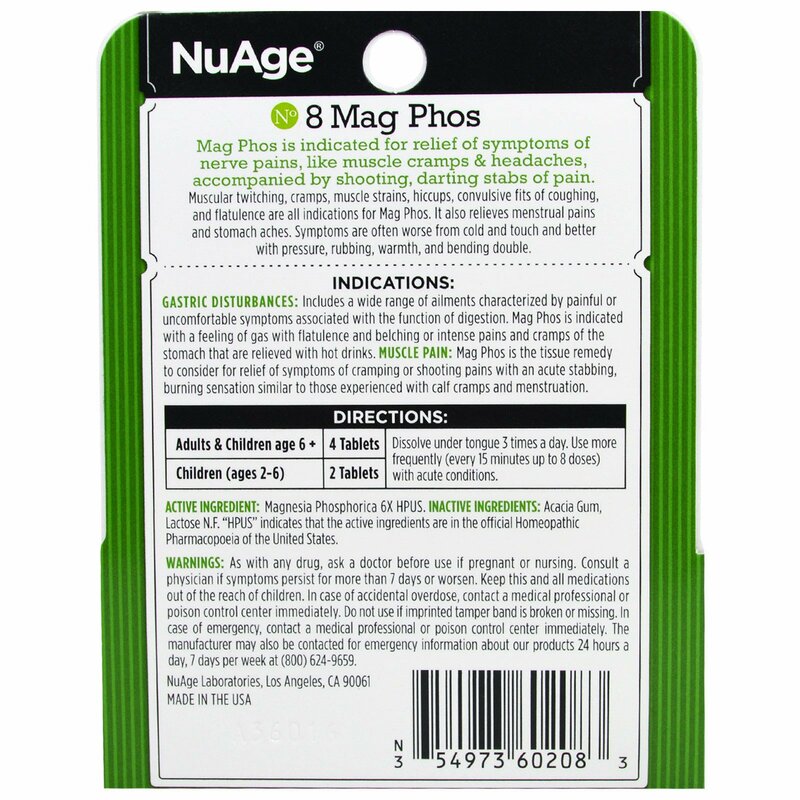 Muscle pain: Mag photos is the tissue remedy to consider for relief of symptoms of cramping or shooting pains with an acute stabbing, burning sensation similar to those experienced with calf cramps and menstruation. Adults & Children age 6+ 4 tablets Dissolve under tongue 3 times a day. Use more frequently (every 15 minutes up to 8 doses) with acute conditions. Magnesia phosphorica 6X HPUS. Inactive ingredients: Acacia gum, lactose N.F. "HPUS" indicates that the active ingredients are in the official Homeopathic Pharmacopoeia of the United States. As with any drug, ask a doctor before use if pregnant or nursing. Consult a physician if symptoms persist for more than 7 days or worsen. Keep this and all medications out of reach of children. In case of accidental overdose, contact a medical professional or poison control center immediately. Do not use if imprinted tamper band is broken or missing. In case of emergency, contact a medical professional or poison control center immediately. The manufacturer may also be contacted for emergency information about our products 24 hours a day, 7 days per week at (800) 624-9659. 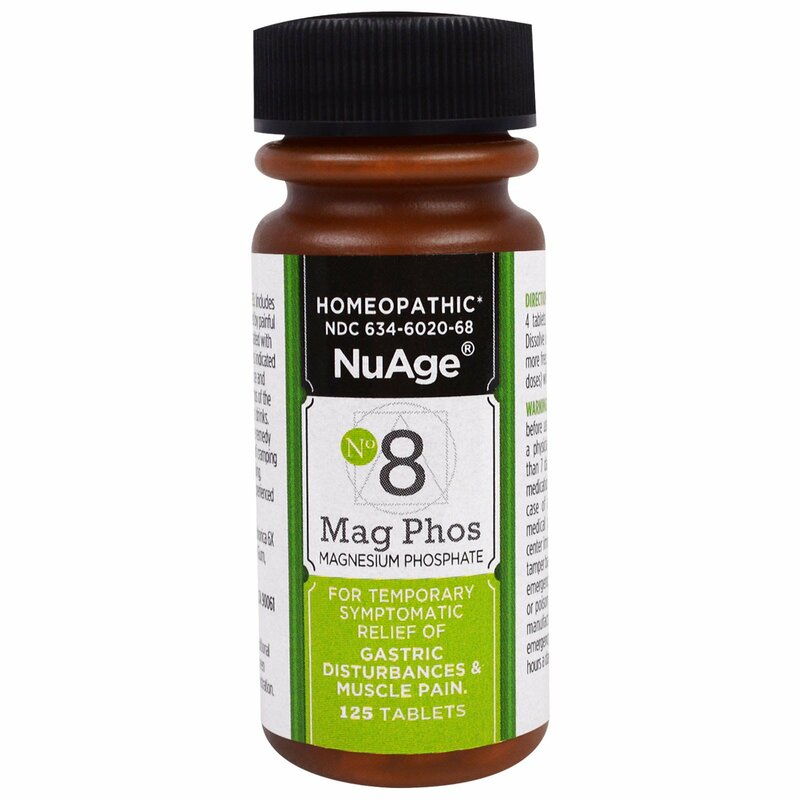 Formula: Magnesia Phosphorica 6X HPUS in a base of Lactose NF.